There’s a secret ingredient in this Cheat’s Chocolate Hazelnut Mousse, and it’s not the Nutella. Silken tofu lends creaminess in place of traditional heavy cream and egg whites. I promise you, even the most dubious will be convinced! Note: This post first appeared February 10, 2013 and has been updated with improved kitchen notes, recipe annotation, photography and video. I hope you enjoy this favorite from my kitchen! Life has a way of surrounding us with good people. Today, I was reminded of this small blessing. Wherever you are in life’s journey, there are good souls who become friends. My husband and I drove north this morning, the sun shining unabashedly, giving us a chance to appreciate the green hills dotted with yellow mustard, just starting to bloom. Lunch was on the agenda, in Yountville, where we were to meet one of our best men from the wedding and his wife. We haven’t seen them since our wedding day, over 12 years ago. Nearly a lifetime has passed, and between us and a dozen years, we each had two children, born just months apart, and a lifetime of experiences. There was a lot of catching up to do. And then by late afternoon, we found ourselves back home, walking with pup and little ones in tow, to pop in on our friends down the street. Just to say hi. Just to let the doggies play. Before we knew it, four hours and three bottles of wine had passed, with lots of chatter and loads of laughter. I feel so blessed for friends, old and new. For the friends we come to value, the ones who touch our lives in so many small ways. I appreciate them, and how they make our little family stronger. Valentine’s Day is just around the corner. And I have been celebrating a little early and with a lot of chocolate. I have been celebrating my little family, our precious little place in the world, and the people that make it special. To show them just how much I care, I made this Cheat’s Chocolate Hazelnut Mousse. I say “cheat’s” and you’re probably already guessing that Nutella is involved. But the real secret ingredient is something else. My tofu-doubting husband could not believe that the sinful spoonfuls of silken bliss were made especially creamy from none other than silken tofu. “One of the best things you’ve ever made,” he proclaimed. Well then! I guess I will have to make more. 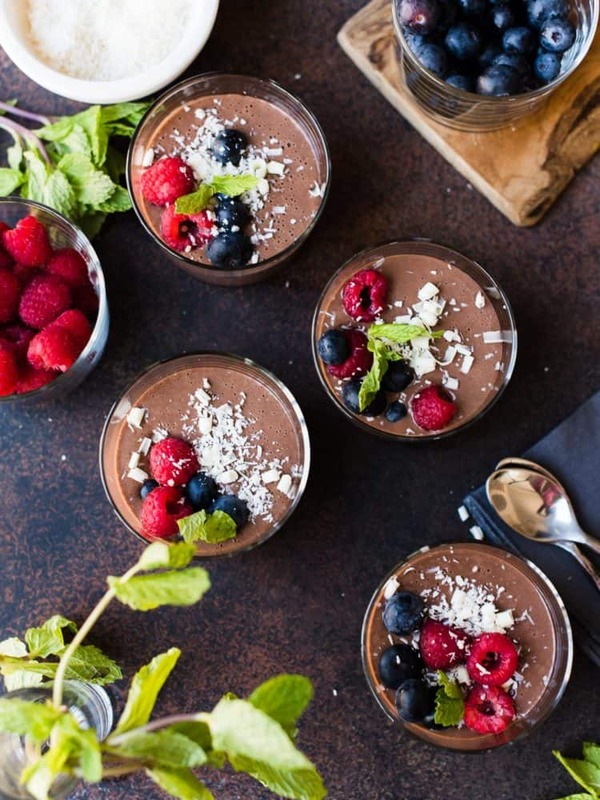 There’s a secret ingredient in this mousse, and it’s not the Nutella. Silken tofu lends creaminess in place of traditional heavy cream and egg whites. I promise you, even the most dubious will be convinced! This is utter decadence. Place silken tofu and vanilla extract in a blender. Blend until smooth and creamy. Add Nutella and process until fully blended. Spoon into serving cups and refrigerate for at least 3 hours until well chilled and rather firm in consistency. 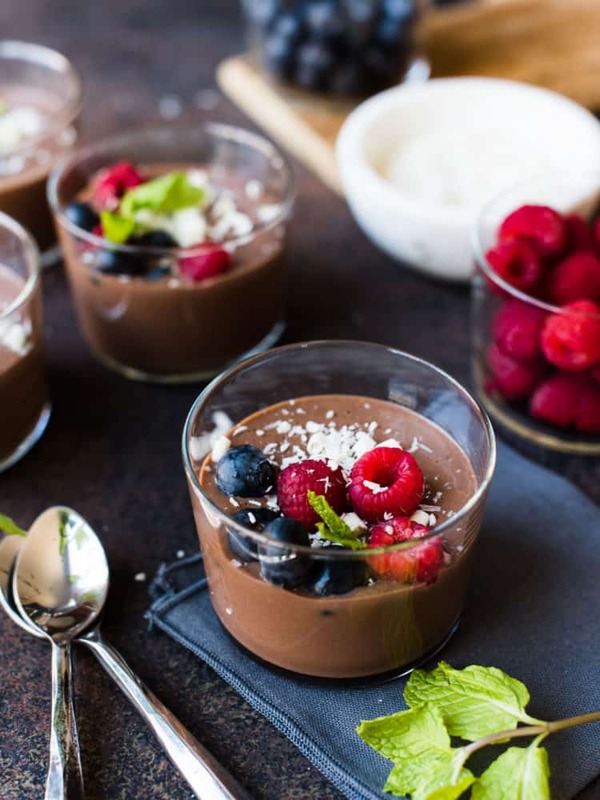 Garnish with chocolate curls, berries, and shredded coconut, and serve cold. This is the easiest egg-free mousse you can make! 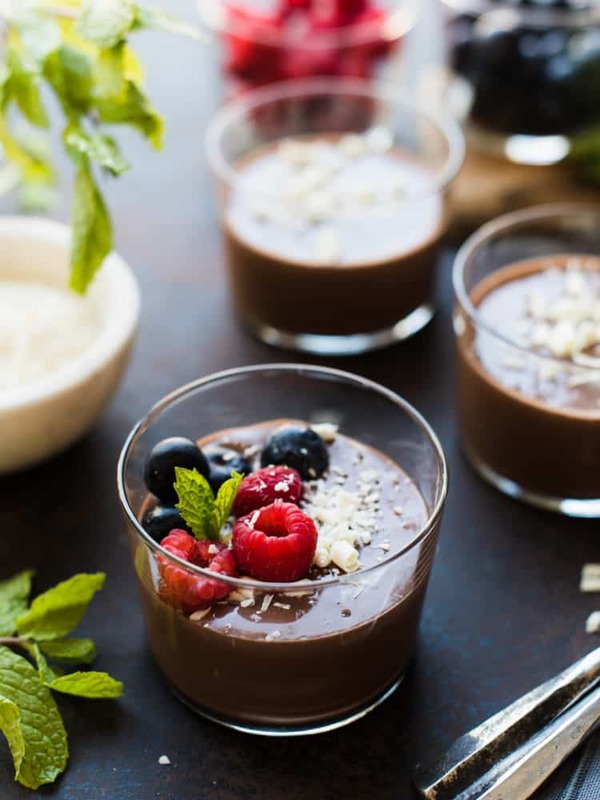 In some ways, the mousse is quite silky, like a pudding -- either way, I promise you will see this disappear so quickly when you serve it! Such a beautiful recipe. I’ve done chocolate pudding with tofu, but this looks even better. I am not a tofu lover, but I trust you, Liren! 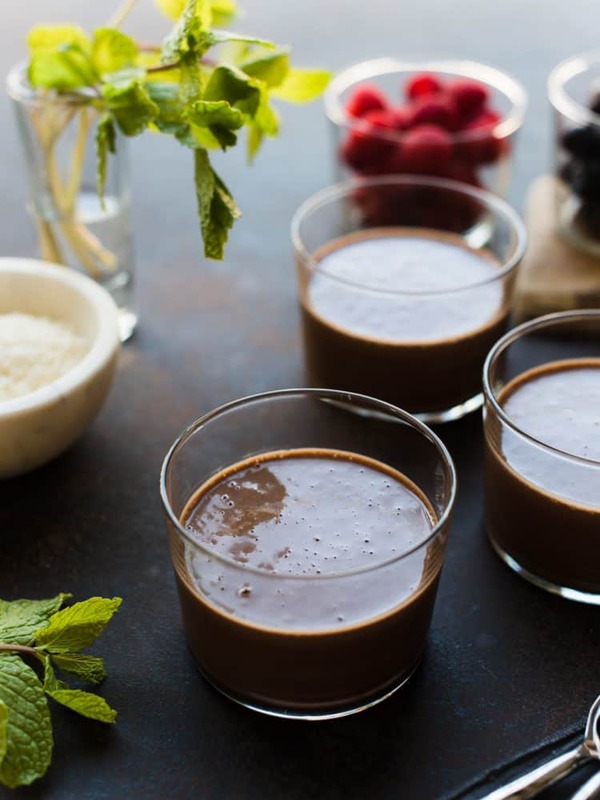 This mousse does look sinfully silky – I might just have to get over my tofu aversion and try it out :). I love healthy desserts that are also easy to make and delicious! Recently made a nutella avocado and banana mousse that was surprisingly awesome, and have been meaning to try tofu desserts too! Happy Valentines day Liren! Such a lovely post. Random wine and laughter filled evenings with friends make me feel so lucky! I love the simplicity of this dessert. My boyfriend thinks tofu is abomination, and I’ve tried a couple of times to convince him otherwise. Perhaps tofu dessert is the ultimate convincer. Can’t go wrong with a little nutella! Great recipe! i definitely will give it a try :-) Thanks for sharing! I love using tofu in desserts! No one can tell and it makes them so creamy. This looks so good!